Read Time [3-5 min]. Abnormal head posture is the rule rather than the exception in today’s culture – but why? I’ll give you a hint. Go to a mall, school, or any other public location and watch what people are doing. They are staring down at their smart phone, tablet, or computer. This is a massive problem because these devices force the head and neck into an abnormal position for extended periods of time. It is very similar to a car forced out of alignment. However, instead of tires and brakes wearing unevenly – your bones, muscles, and ligaments are damaged. You can replace your car’s tires and brakes. Unfortunately, the parts of your body aren’t that easy. There is an epidemic of neck pain, back pain, and headaches affecting this country. In addition, this head position can affect your self-esteem and appearance. Abnormal head posture, or Anterior Head Syndrome, is a major factor in these pain syndromes and how you look in a mirror. What is normal head posture? If you look at the first image (Normal Structure), you will see a yellow line drawn through the body and spine to show ideal posture. Keep in mind, there are very few who are perfect. However, as you shift farther away from normal like what is seen in image 2 (Anterior Head Syndrome), you will start to develop a number of secondary problems. How do we diagnose abnormal head posture? There are numerous ways. To begin with, you can evaluate someone by placing them in front of a Structural Grid. This allows us to see how someone’s external posture has been affected by deviations in their inner structure. By placing someone in front of a grid, we can measure how parts of the body have taken on an abnormal position. Another method involves x-rays. When you take an x-ray of the neck from the side, you can measure the distance between certain landmarks. If a person is outside of the normal range, they have anterior head syndrome. At Precision Chiropractic we utilize both of these tests. By using more indicators, we can be certain that someone suffers from this condition. When all of these are combined, rehabilitation can occur optimally and in a shorter amount of time. After all, someone who has suffered from abnormal head posture and its secondary conditions for 10 years requires more than a week to correct it. Unfortunately, abnormal head posture is an epidemic due to our modern lifestyles. It can lead to pain, headaches, arthritis, and also affects our appearance. Fortunately, there are natural solutions available. We offer a complimentary consultation to discuss your problems and explain how we can help. To setup an appointment, you may call (248) 590-0236 or fill out the form here. Our consultation is always a conversation, never a commitment. After all, we believe a patient should make sure our office is a good fit before committing to a relationship with us. You may also contact our office for a copy of Dr. Tully’s research on the subject. Primitive reflexes are automatic, stereotyped movements directed from the brain stem and executed without cortical involvement. What does this mean? It means, that at birth, our brain and body perform certain motions without us having to think. This helps us throughout early life because we are born with certain skills required for survival as a newborn. However, what happens if you are ten years old and still relying on these primitive reflexes? This may mean that part of your brain is still functioning at the level of an infant. The brain develops from the primitive parts like the brain stem, to more complex regions including the frontal lobe. As a matter of fact, neuroscientists believe that the frontal lobe doesn’t stop developing until the age of 25! At birth, the brain is a blue print for what it is capable of developing into. With nutrition and stimulation, the brain starts to form electric circuits between the primitive sections and the more complex areas. However, what happens if the foundation of the brain doesn’t develop appropriately? Since the brain develops like a stack of blocks, with one section building off the section beneath it, it is imperative that the foundation is sound. This means that abnormal circuits in the foundation could alter every other part of the brain that sends electric signals through it! What does this have to do with retained primitive reflexes? Primitive reflexes should disappear no later than 12 months of age. The frontal lobe will inhibit them so that more sophisticated parts of the brain can develop. If they persist beyond this period, there will be structural weakness in the central nervous system. This results in the lack of development of more complex postural reflexes required to enable a child to interact appropriately with the environment. Many children with neurodevelopmental disorders and sensory processing disorders display primitive reflexes. The reason is, parts of their brain do not mature correctly. 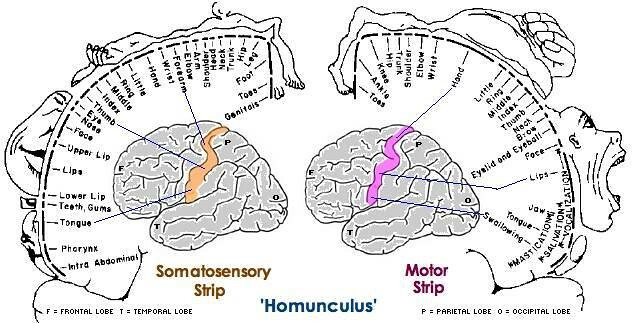 To address this, we need to remove any obstructions to the electric circuits in the brain and prescribe neurological exercises to extinguish these primitive reflexes. Fortunately, the brain can re-wire itself. The principle of neuroplasticity is the key to this. In a nutshell, this means that we can “work the brain out” like we do our muscles. This helps us develop. In conclusion, primitive reflexes are an integral part of our early life. However, we need them to disappear if we want our brain to develop appropriately! When the foundation of our central nervous system is strong, we can build powerful electric circuits throughout the brain. The proper function of your brain is no different than the proper function of your car – it is dependent on electric signals. Make sure yours are flowing freely throughout the circuits of your brain. In 2000, an article in Us News and World Report stated that 1 in every 6 children in America suffered from conditions such as autism, aggression, dyslexia, and ADHD. Unfortunately, the epidemic of sensory processing disorders and neurodevelopmental conditions appears to only be growing. Why is this? It can’t be strictly genetic – after all, genetic diseases shouldn’t rapidly permeate a population. Is the increase due to improved diagnosis? Perhaps this accounts for a certain percentage. However, it can’t possibly explain the explosion of these diseases throughout the American youth. What could the reason be then? More than likely, it is because modern lifestyles inhibit the development of a child’s brain. When a baby is born, he/she has a blue print for how the brain should develop. However, this will not occur unless the brain receives nutrients and stimulation. Stimulation is important to develop important electric circuits between the primitive brain and more complex areas. So, what stimulates the brain? Your senses. These include: taste, smell, hearing, vision, touch and many more overlooked senses that report certain things subconsciously to your brain like the position of your body in space. This is why you can close your eyes and still know the location of your right thumb. How does a modern lifestyle slow brain development? How does a modern lifestyle slow brain development then? For one, many of the foods we eat and chemicals we interact with daily are neurotoxic. This means they affect the nerves, spinal cord, and brain – the electric system in your body. Together, they control everything from heart rate to the perception of pain when you stub your big toe. Neurotoxic substances can alter normal brain development by inhibiting necessary stimulation. Also, children are not as active as they once were. The majority of brain stimulation comes from the muscles and joints of your body resisting gravity, which are particularly active during exercise. The good news is that the brain appears to be moldable and can re-wire itself – a phenomenon known as neuroplasticity. Children that suffer from sensory processing disorders and neurodevelopmental conditions like autism may benefit from diet changes, removing toxins from their environment, and neurological exercises geared to stimulate immature parts of the brain. Together, comprehensive strategies that address these factors can help the brain develop appropriately. “That’s just the way I’m wired.” Has anyone said this to you before? We grew up under the impression that your brain is what it is – a final product that cannot be altered. However, recent research indicates this is far from the case. Let me introduce you to the concept of neuroplasticity. This phenomenon describes how your body can “re-wire” itself. Essentially, your brain adapts to stimulation and alters its electric circuits. This may be an important concept for treating patients with autism and other sensory processing disorders that are not the result of structural damage to the brain. To understand neuroplasticity, we need a quick review of how your nervous system (your body’s electric wires) works. Basically, your brain is the master computer that sits inside of your skull. It constantly receives input from the cells of your body. After analyzing this information, your brain sends out the appropriate response to bring your body toward something known as homeostasis. It is similar to how the thermostat in your house works. Is it getting too cold? Your thermostat will inform the heating unit in your house to turn on and bring your home to the set temperature. Nutrition – Glucose, oxygen, etc. Stimulation – Playing, reading, engaging your senses. Fortunately, both of these are easily accessible. How do your senses stimulate the brain? Basically, every sense in your body follows a particular tract to your brain. For example, pain follows a tract known as the lateral spinothalamic tract. Receptors in your hand for pain fire when you put your hand on a hot stove. These receptors send messages through the nerves to the spinal cord. There, these nerves connect with another tract – kind of like an extension cord. This new electric circuit carries this information to a part of your brain known as the thalamus. From there, another extension cord is connected and the information is routed to the appropriate places in the brain. As you can see from the example, there is a particular circuit that carries pain messages. However, there are many senses other than pain that are constantly monitored by the brain. So, how does this contribute to neuroplasticity? Extrasensory perception – This one people aren’t as familiar with. Basically, this sense is how you can close your eyes and still point to your thumb without seeing it. The theory is that most children and adults with autism and sensory processing disorders have “disconnected brains”. What does this mean? Maybe part of your brain did not mature with the rest of it. Also, there may be insufficient wiring between important parts of the brain that should be in constant communication. Your brain is like an orchestra and needs to be in perfect synchronization. Either way, if it is possible to determine which parts of the brain are not working as they should – then we can use our knowledge of these electric circuits to stimulate those parts of the brain. This can bring these parts of the brain “up to speed” and allow them to mature. There seems to be some evidence that suggests this approach works. However, it should be understood that this requires a multi pronged approach that addresses all the factors that can obstruct the nervous system. In conclusion, neuroplasticity may be a useful weapon in treating people with autism and other sensory processing disorders. However, it may not be as useful if there is a permanent structural problem with the brain. The good news is, the brain can alter its electric circuits. With a comprehensive plan, it may be possible to allow the brain to function like the synchronized orchestra it should be. Autism Spectrum Disorder is a condition growing rapidly in the United States. According to the CDC, 1 in 68 American children are on the Autistic spectrum – a ten fold increase over the past 40 years. What is the reason for this exponential growth? There are more than likely many factors. However, one major reason appears to be environmental factors that affect brain and nervous system development. Autism is a neurodevelopmental disorder characterized by impairments of growth and development of the brain. Children on the spectrum also tend to have many traits that correspond with sensory processing disorders. The STAR institute suggests that at least three quarters of children with autistic spectrum disorders have significant symptoms of sensory processing disorders (SPDs). These conditions are the result of poor communication between the brain and body. The proper operation of your body depends on the billions of nerves that send electric signals to and from your brain. There are receptors for light touch, deep touch, pain, temperature and much more. If these signals are disrupted anywhere in the system, it is possible that an individual will struggle to process the information correctly. For example, a child who struggles to process pain may leave their hand on a burner not knowing that they are injuring their body. What can be done to help children and adults who may suffer from these disorders then? These neurotoxins interact with nerve cells and either kill them, or interrupt their communication. Basically, everyone should avoid them. However, exposure for someone suffering from a neurodevelopmental disorder is like lighting a match in a field of dead leaves. Their nervous system is already under abnormal stress and these toxins just compound the issue. It is definitely worth the effort to remove as many of these as possible from the environment of an autistic person. Is it possible that gut health may contribute to Autism and other similar disorders? Research suggests that as many as 9 out of 10 individuals with the condition may suffer from problems such as inflammatory bowel disease or “leaky gut syndrome”. This condition is characterized by increased permeability of the gut lining which allows the contents to leak into the blood stream. When this happens, the immune system may initiate a response against a normally harmless material. This is one of the concepts behind food allergies. A leaky gut also results in impaired nutrient absorption. Have you ever heard you are what you eat? That is not exactly accurate. You are what you absorb! If an autistic child suffers from leaky gut syndrome, they may not absorb all of the vitamins and minerals necessary to help repair the body. The goal should be to find out if food allergies are present and remove them from the diet. After that, probiotics and other “gut healing” remedies should be administered to help the gut repair itself. How Does Chiropractic Care Factor In? Contrary to common belief, chiropractic care is not strictly about treating low back pain. Rather, the goal is to examine the spine and determine if abnormalities are present. After correcting these abnormalities, certain conditions like back pain typically resolve. After all, the pain was secondary to abnormal alignment of the spine. However, there are other consequences of abnormal alignment. As discussed previously, many children suffering from autism and SPD’s suffer from disorders of the brain and spinal cord. Essentially, somewhere in the system a problem occurs that obstructs the communication between electric wires. Abnormal spinal alignment can contribute to this obstruction. It should be said, chiropractors do not treat conditions like autism. Rather, by conservatively guiding the spine back to normal, they relieve tension that affects the spinal cord and nerves. When this is reduced, the body can function closer to optimal. This will certainly help a condition like this, but a comprehensive plan is often necessary to address the many potential factors contributing to the autism spectrum. Neurodevelopmental disorders like autism and sensory processing disorders are on the rise. There are undoubtedly multiple reasons for this. However, there is agreement that the issue typically revolves around abnormal communication between parts of the nervous system – the brain, spinal cord, and nerves. We need to optimize their function. This can be done by removing toxins, creating a healthy gut environment, and addressing any structural abnormalities of the spine that may obstruct their function. Research continues to evolve. However, until their is a definitive answer, this is a great start. References are pink hyperlinks in article. American lifestyles contribute to a number of conditions such as obesity, type 2 diabetes, cardiovascular disease, and even neck pain. More than a quarter of Americans will experience neck pain during their lifetime. Unfortunately, many believe it is a natural part of aging. What if I told you that wasn’t necessarily true? Many of our daily habits contribute to the development and progression of neck discomfort. Since this is true, what daily habits can we modify? Here are 3 tips: use an ergonomic pillow, hold your phone and tablet at eye level when using them, and limit pro-inflammatory foods. How does an ergonomic pillow relieve neck pain? There is a normal alignment to your neck. As your spine shifts away from normal, it puts stress on the bones, discs, muscles, and nerves that make up your spine. This abnormal stress can initiate pain – as well as accelerate degeneration of your spine. Americans tend to sleep 7-8 hours per night. This is a long time to sleep in a position that compromises your neck. In order to counter this, an ergonomic pillow should be used. Ergonomic pillows should mold to the normal curve of a neck. When you are sleeping on your back, you want a pillow that doesn’t flex your head up. Rather, it should have a slight wedge to raise your upper back and allow your head to rest comfortably slightly below it. To visualize this, imagine laying on the floor on your back. If you roll up a towel and put it under your neck, you will experience the concept. Also, when you are sleeping on your side, you want a pillow that matches your shoulder width. When measured appropriately, your head will not flex up or down when laying on your side. For an idea of the shape I personally recommend, check out Therapeutica pillows. Hold your phone and tablet at eye level to reduce neck pain. There is an epidemic of text neck running rampant in the United States. The reason being, we are constantly using technology. If you have been around the past 6 months, you may have noticed an army of teens walking around communities searching for Pokemon. You may have also noticed that they were walking around with their head flexed down to stare at their screen. When you do things like: text your friends while staring down at your phone, sit on a couch and stare down at a tablet, play Pokemon Go – you put your neck in a stressed situation. It is like a car being out of alignment. It progressively wears down muscles, ligaments, discs and bones and can contribute to neck pain. How can you combat this? Try holding your phone and tablet at eye level when you are using the device. Maybe you can’t use this strategy every time, but the more you do – the more your neck and body will thank you. Limit pro-inflammatory foods to relieve neck pain. Wait, is this article saying that food choices can contribute to pain? Absolutely. Whenever your body is injured, tissues release chemicals that cause an inflammatory response. This is healthy and should resolve fairly shortly. This inflammation also tells receptors in your body that something is wrong and you will experience pain. Chronic inflammation, unfortunately, causes your body’s natural inflammatory process to last longer than it should which contributes to pain. So, what type of foods are highly pro-inflammatory? Anything that contains wheat, even if it is whole wheat. These foods tend to promote a chronic inflammatory process in the body. Even whole wheat , which is unfortunately promoted as a staple for a healthy diet, is not good for you in large amounts. Does this mean you should no longer consumer whole wheat? I am definitely not saying that. After all, whole wheat (not refined wheat products) still contains beneficial health properties. I am just not sure you want to consume an excess amount daily. Neck pain is definitely a major concern for many Americans – and one that can be expensive to treat. However, many cases are “preventable” if we modify a few items we do daily. Using an ergonomic pillow, holding smart phones and other technology at eye level, and reducing pro-inflammatory foods are a good start. Will this end the neck pain epidemic? I do not think so. However, it will help reduce it immensely. People often ask me, what is the difference between a structural chiropractor and traditional chiropractor? That is a great question. Traditional chiropractors tend to manage symptoms, or secondary conditions – and they actually tend to do a good job. Unlike the traditional approach, a chiropractor that focuses on structural correction of the spine is concerned with the underlying foundation of the spine. If the foundation of your house sunk down by a couple of inches on one side, you would see some symptoms appear. I imagine your walls might crack and the floor boards would pop up. Traditional practitioners, regardless of profession, will enter this house and manage these symptoms. They will patch the wall and put a few more nails in the floor boards. However, until you address the foundation, these issues will continue to return. The support beams and concrete blocks need correction first. So, how does a structural chiropractor address the foundation? The answer is through an objective examination and a customized plan of care. What does a structural chiropractor look for during an objective exam? Structural examinations focus on objective indicators, rather than subjective complaints like pain. The reason being, pain is not the best way to assess the spine. For example, arteries clog silently for years before someone has heart disease. They may not experience any pain, but isn’t there a problem? There is a range of normal for your spine, just like there is a range of normal for your blood pressure and body temperature. As you shift away from normal, the risk of developing secondary conditions like degeneration and pain increases. Fortunately, these normal values can be checked during an exam that features digital structural analysis and structural corrective radiographs, or x rays. After an exam, the doctor has enough information for the next step, a customized plan of care. Why do you need a customized plan of care? Spines are like people, every one is different. Depending on your exam findings, you may need a different set of structural corrective exercises than another patient. Do you sit a lot at work? You will require different ergonomic modifications to address your spine damage than someone who teaches Crossfit for a living. Also, the severity of your condition determines the type of care you will require. What happens if you are within normal limits of every measurement during the exam? Congratulations! You will not require a stabilizing phase of care. Any secondary conditions you may experience are probably not related to your spine. In conclusion, a structural corrective chiropractor wants to restore the structural integrity to your spine. By examining a patient’s spine at the beginning of care and again at the end, the doctor determines whether or not a patient improved. After all, if you can’t see progress – how do you know it is there? America spends more than any other country in the world on health care – and yet, as of 2010, ranked 36th in the world for life expectancy with the anticipation that the ranking will continue to slip. How can a country that spends so much on health care be this unhealthy? In my opinion, the problem is American culture and the lack of responsibility that seems to permeate every unhealthy decision. We seem to think that taking a pill will fix all of our ailments – or that back surgery is inevitable as we age. Neither of these are an absolute reality for people who elect to take care of themselves. Unfortunately, that is a minimal amount of the American population. How does food relate to the health crisis? Are you type 2 diabetic and sick? Are you eating a box of doughnuts for breakfast and blaming your weight gain on poor genetics? Sure, maybe your genetic code sets you up to gain weight easily compared to a “normal” person, but your diet and food decisions drive your metabolism and the expression of your genes. Life isn’t fair, and that is truly unfortunate, but people with a genetic predisposition to gain weight need to be more vigilant in their food selection. A pyromaniac is safe if you don’t give him/her access to fire. But, give them a lit match and watch out. As if eating healthy wasn’t hard enough, now we have to read every label to make sure we aren’t being tricked. If you are looking for wheat products, make sure it is 100% whole wheat. Even then, try to limit your servings to where it complements your fruit and vegetables. After all, while they provide nutrients, they are still going to ramp up your body’s inflammation. How does exercise relate to the health crisis? Next, only 20% of adults 18 years and older are getting the recommended amount of exercise for their overall health. This blows my mind because there are so many ways to exercise. Do you like to go to the gym and lift heavy weights for a couple hours? There is a gym for you. Is your schedule tight and you only have 30 minutes to devote to exercise? There are high intensity gyms available that will give you a full body workout in 20 minutes. Do you prefer working in nature? You can go on a hike. There is no excuse for not exercising 4-5 times a week – and the sooner we commit to this, the better off we will be now and in the future. These seem like pretty good benefits right? You are much healthier if you exercise regularly. The hard part, naturally, is starting a routine. Don’t wait until New Years to start a fleeting month long commitment to personal health. Look yourself in the mirror and make a commitment to your health today. Where can we learn more about nutrition and exercise? I realize some people have no idea where to start, and a life changing paradigm shift can be overwhelming. Do your best to take small steps every day toward your overall goal. Start off by taking a ten to twenty minute walk and work your way up to a gym membership or home workout routine. Is food your vice? Take baby steps. For one, start removing things like potato chips and similar items from your pantry. These are some of the worst foods on the planet for you and should not be consumed regularly. Also, free yourself from soda if you have not already. A periodic coke isn’t the end of the world. After all, life is also about living. However, if you drink enough soda, you may find that type 2 diabetes (and its associated chronic inflammation) are the reason you have no energy, suffer from heart disease, and can’t feel your fingertips any more. Do you need somewhere to turn for good diet information? I recommend the book Eat To Live by Dr. Joel Fuhrman. To sum everything up, American lifestyles are the reason for our nation’s health crisis. I apologize if this article feels like a sucker punch – but sometimes this is what you need to hear; not that everything is rainbows and butterflies. I am concerned about the health of this nation and you should be too. Our children want to see us grow old and free of debilitating, preventable diseases. We also need to be role models for our youth. There is no better day to take control of your health than today. Take a moment and seriously evaluate your health. Yes, it may be uncomfortable and painful – but it is always darkest before the dawn. 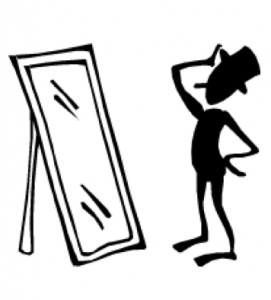 Wouldn’t it be nice if you could look into a mirror and see all of your health problems? Do you have crooked teeth? You are probably going to schedule a consultation with an orthodontist. Is there a new mole on your forehead? Maybe you should consider calling a dermatologist. Unfortunately, not all of your problems are visible in a mirror. For example, your spine may be wearing down and you would never know it. I believe many people would seek out conservative care for their spine if they could see how bad it looks on a regular basis. Abnormal spinal alignment leads to degeneration, chronic pain, and eventually may progress to the point of requiring surgery. Is it possible that many of these problems are preventable with routine spine care? A lot of evidence seems to suggest so. What does normal alignment of the spine look like? Many people are familiar with normal body temperature and blood pressure. We know that if we hover around 120/80 mm hg, then our blood pressure is within normal range. What happens if we do an objective exam and see our blood pressure is 200/160? We know that something is really wrong, and if we don’t act now we may have a stroke, kidney damage, heart problems and more down the road! What causes our spine to shift away from normal? The answer involves predominantly two factors. One of these factors involves accidents. When you were younger and more resilient, you could fall out of a tree and laugh it off. Your body bounces back quick before you age. However, what happens if the fall affects your spine and you aren’t able to look into a mirror and see it? The phrase “as the twig bends, so grows the tree” is a personal favorite of mine. Basically, things that occur early in life can affect you later down the road. Small problems can progress over time if left uncorrected. Another major factor are our daily lifestyles. For one, prolonged sitting is one of the worst things on the planet for you and the majority of Americans do it frequently. Sitting for long periods of time shifts your spine out of normal alignment. Another lifestyle issue involves our dependence on technology. Repeatedly looking at your tablet, cell phone, computer screen, etc. progressively leads to anterior head syndrome – which can progress from text neck. There are more contributing factors that may progressively lead to abnormal alignment of your spine, but the above two are the major ones I see regularly. What happens if your examination reveals you are nowhere near the accepted normal? There is some good news – conservative spinal care is frequently enough to stabilize your spine and guide it back toward normal! A customized plan of care from a chiropractic practice that focuses on Structural Correction of the spine is a good start. These plans aim to counter the damage frequently seen during the exam. They will require you to do homework, however, in conjunction with the correction that takes place in the clinic. This is because most of the damage to your spine is occurring outside the walls of a Structural Chiropractor’s office. It would be like going to the gym then eating 12 doughnuts – you basically offset what you have done! Another exam will be conducted after a stabilizing phase of care to make sure you are progressing toward normal. After all, if you can’t see progress, how do you know it is there? Fortunately, technology and research continues to evolve with time. We can now differentiate from normal and abnormal alignment of the spine. This is great news, because if an examination reveals abnormal findings we can address them before they progress to chronic pain, degenerated vertebral bones, herniated discs and more. If you think you may suffer from abnormal alignment, I recommend an examination by a chiropractor that focuses on Structural Correction. Hopefully your exam is negative. However, if it isn’t, at least you can address the problem early on and not let it progress. After all, you only have one spine – you need to take care of it.